This is a trans kit. 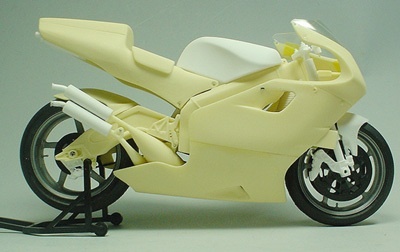 You need TAMIYA kit WCM　YZR500 '99 ( ITEM 14076 ) as a doner kit. This kit contains resin pasrts, Printer decal, and instruction manual.